In my opinion, the first step should consist in sketching manually a map or a list of the key ideas and concepts. This gives you the opportunity to organize your thoughts and explore various possibilities. 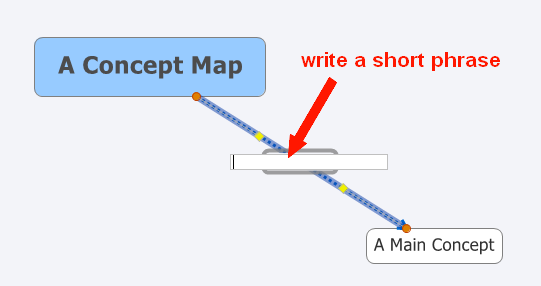 Open a new blank map on XMind and write the main concept of your map into the central topic. Insert quickly new concepts and ideas using the "CTRL + L" shortcut. Once you have selected a topic and pressed "CTRL + L", just click in the white space and XMind will automatically create a new linked topic. You can also link two existing topics using the same shortcut: select a topic, press "CTRL+L" and click on the topic you want to link with it. Tip: Ones you have created linked topics, it is important to maintain the "Alt" button pressed in order to move them freely. 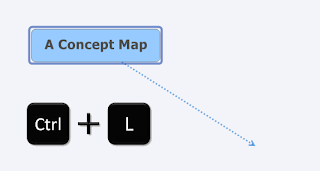 It is important to add short phrases on the relationships arrows between the concepts and ideas. You just have to click on each arrow and write a short phrase. XMind will add it to the relationship. 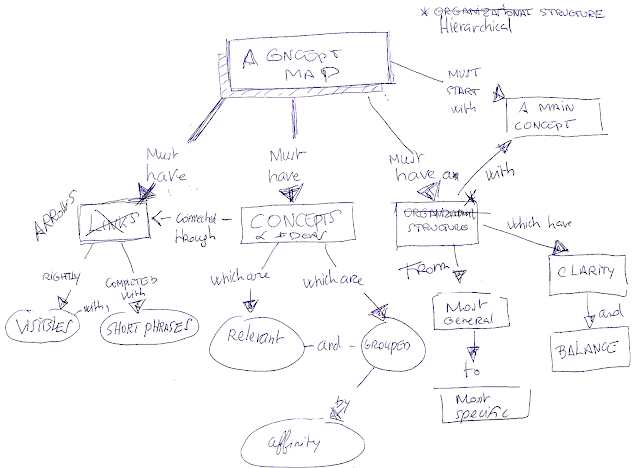 Complete the Concept Map with all the concepts and their relationships. You may also improve the visual aspect of your map adding color. You can see the final map below (click to enlarge it). French people speak to french people..in english ;) ! Colors are just here to show the informations groups. When reading them, we can conclude that with the same informations, we can build several connections systems. What do you think about it ? Hi Franck, It's quite funny to write in English here in answer to you comment ( we are both French)! Firstly thank you for you very interesting comment. 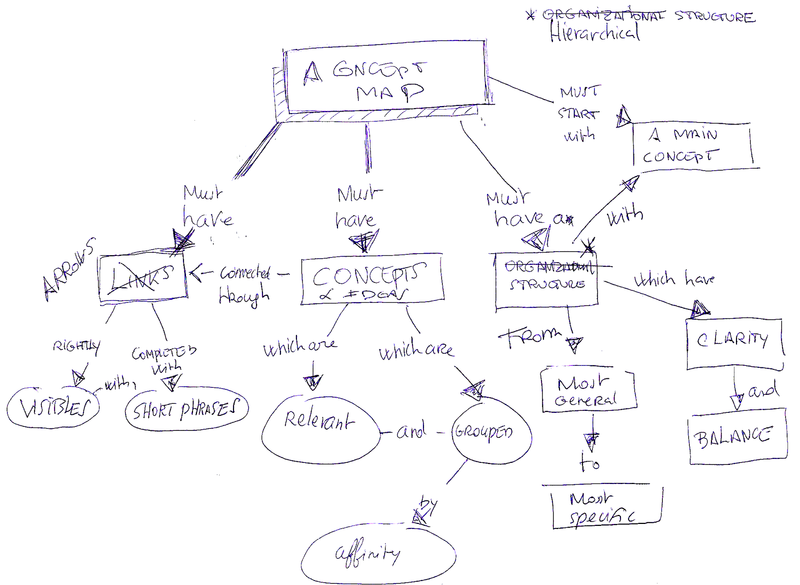 In my opinion, you're right when you suggest that Mind Maps and Concept Maps are not used for the same goal. 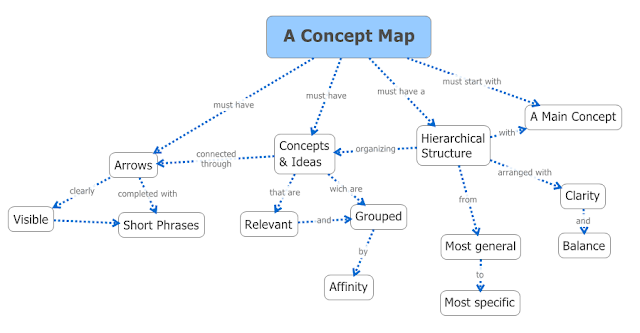 Mind Maps are better for brainstorming, exploring ideas and memorization. 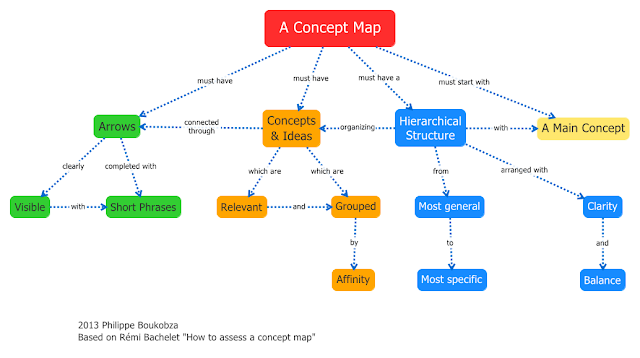 Concept Maps are better, especially for Academic purpose, for organizing concepts (more than ideas), for example if you turn a mind map into a concept map it would be better to insist on concepts more than about ideas, data etc... and start from the most general a the top, adding more specific information at the bottom. Completing the relationships with short phrases is also important. I think it important that Concept Maps can be a step away from hierachical thinking. Though hierarchies are obviously important in many places I feel they often contain too many implicit assumptions - Clay Shirky states this clearly in http://www.shirky.com/writings/ontology_overrated.html. Also, Concept Maps can be read as a set of propositions if you craft the 'linking phrase' appropriately. Lastly, one of the wonders of XMind is that you can join your Concept map onto an ordinary mind-map and have spreadsheets and fishbones attached in other places. Thank you +Nickalong for your very interesting comment. Your point is very accurate: a lot of concept mappers don't limit themselves with the hierarchical principle. And this flexibility is, in my opinion, good. But we have to be careful and differenciate concept maps from ordinaire diagrams. They don't use exactly the same rules and don't have exactly the same functions. Thanks for the help! 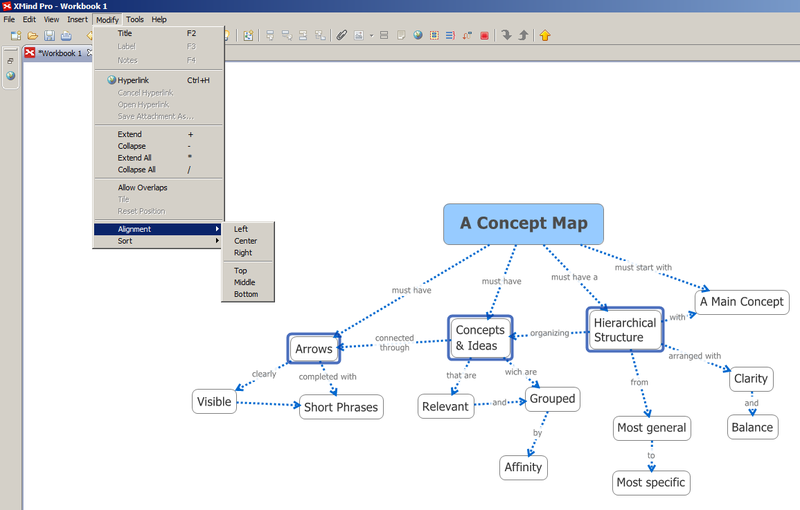 I have also found Concept Map Examples and Templates through lucidchart that are very easy to use!